Matt, your little venture has revolutionized my life. It gave me a profession when I thought I was beyond being employed, and when I so desperately needed it. Thank you! 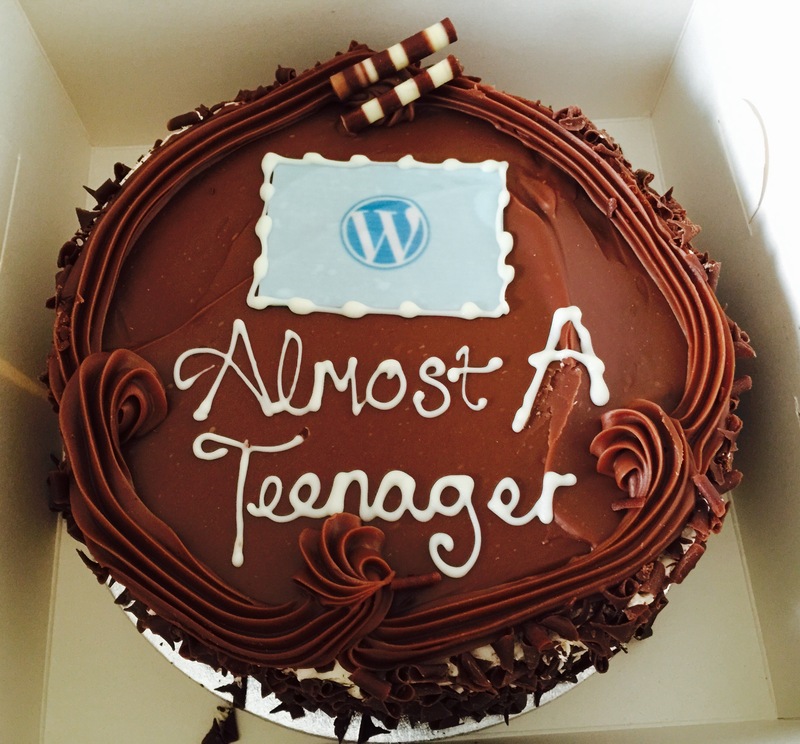 and Happy Birthday to the wonderful WordPress! That looks yummy… Can’t believe 12 years have gone by! Thank you Matt & Co.! Happy birthday WP I hope to have wonderful sites by you. Yummy! Happy Birthday! If that’s a chocolate cake, I wanna piece! Thanks! Reblogged this on Satwinder Rathore. Thanks Matt, you have made a change happen. Congratulation to you and your team. Very Happy Birthday No. 12; a truly important celebration for this great WordPress and its team! Many thanks because I feel at home at WordPress! Reblogged this on ¡Leonadecristalmurano está siempre contigo!. Reblogged this on Mamunitiw’s Weblog. Reblogged this on Wolfo's Weblog. Awwww…sweet! Thanks for the journey! I love my WordPress blogging community! For your Birth, I am grateful-as your genesis has gifted more hope and Light to me than I can ever repay. I am grateful for this community, both as a poet, and as a human being. Reblogged this on gbreezee music. Hi matt. Really happy birthday yo all WordPress workers (and you too) from Argentina. Really have a fun day writing in my blog. Thanks for all the efforts. Awwww. I can’t wait till sweet 16! lol Happy Birthday WordPress and THANK YOU MATT and everyone that has helped make this incredible system work for those of us who can’t. Very good idea for a cake ! Congratz! Happy Birthday to the wonderful WordPress! Like a child, not yet a teenager quite, WordPress is doubtless still very much learning, and naive. Like a teenager, just about to ‘bud’, others can find his/her behaviours and communications very confusing and frustrating. This is especially so with those others who are themselves battling to make sense of a new world (of technology). It behoves the responsible ‘adults’, especially those who brought young ‘WordPress’ into the world, to provide sufficient guidance and support. This needs to include communications with the ‘others’ which will help the youngster’s relationships with them, rather than make any misunderstandings even worse. It is in young WordPress’ best interests to ensure that the new friends and ‘followers’ have useful, helpful insights into the needs of ‘WordPress’ , otherwise those ‘others’ may find it too difficult to stay friends and stay ‘following’. This would be such a waste, as those friends are most likely all very interesting folks who will bring enjoyment and excitement into the young life of ‘WordPress’, over time, and also now.